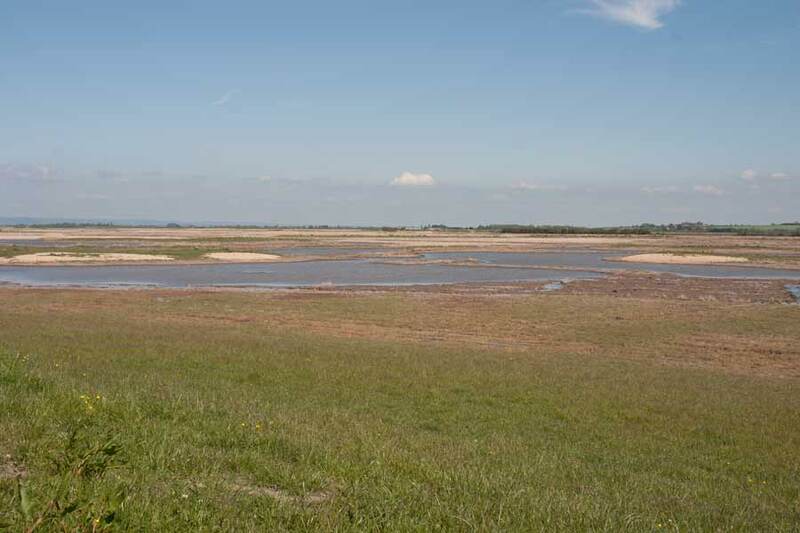 Steart Marshes near the mouth of the River Parrett are a very recent creation farmland having been deliberately flooded in 2014 to provide a wild life habitat and as part of a flood prevention scheme. 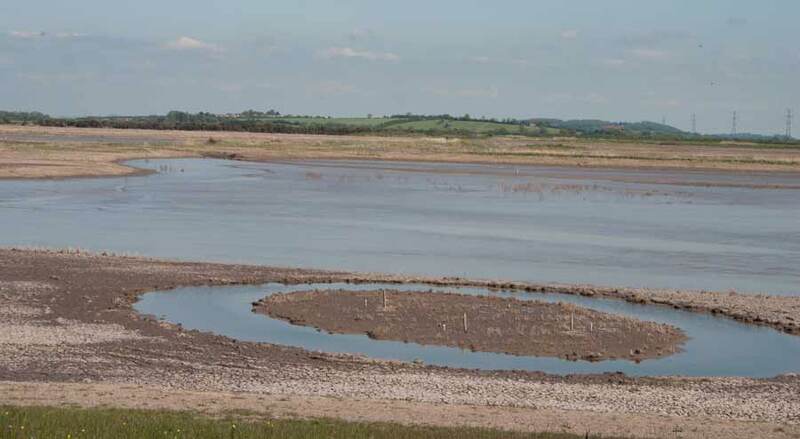 They are managed by the WWT in partnership with the Environment Agency. 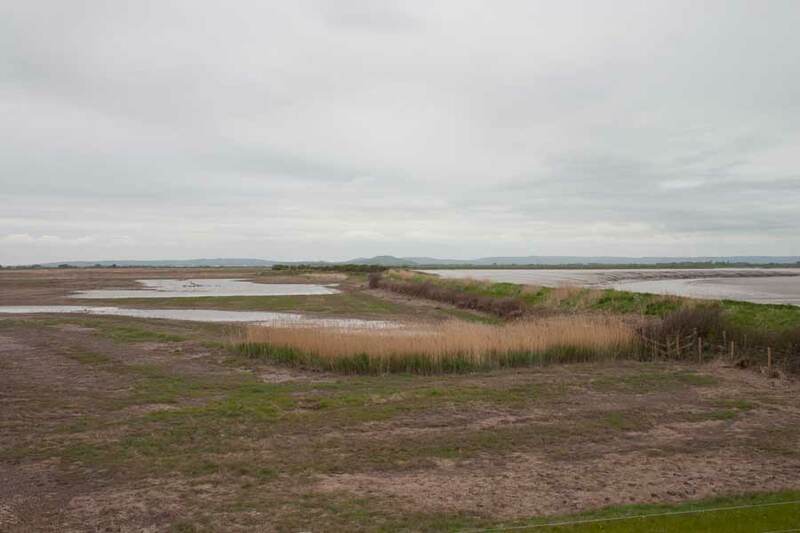 We've paid a couple of visits during May 2015, the vegetation is only just starting to change to slat marsh plants and wildlife is beginning to take advantage of the marsh. 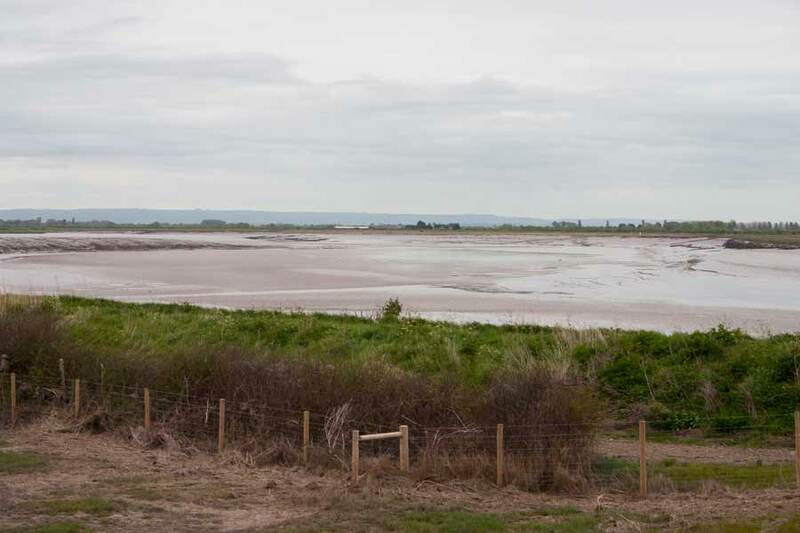 These photos start from the main car park, head out to the River Parrett then back inland and heading along the trail between farmland and the marshes towards Steart village. 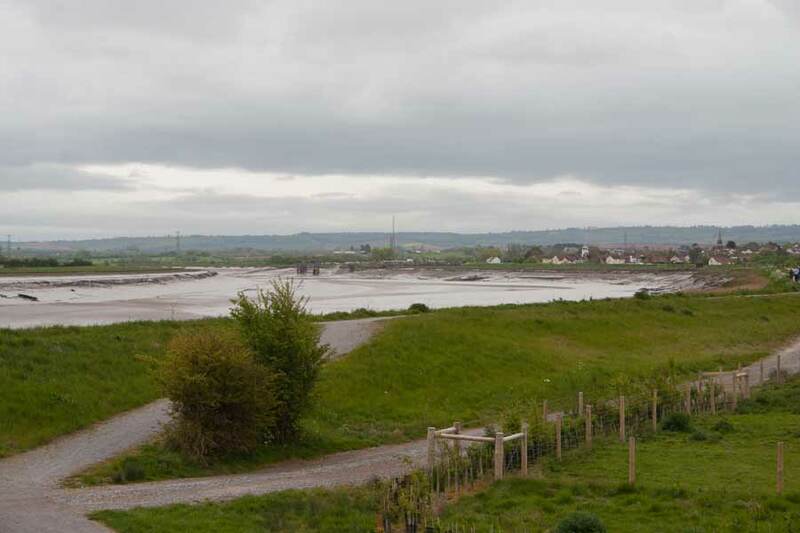 New salt march on the left, the River Parrett on the right and Brent Knoll and the Mendips in the background. 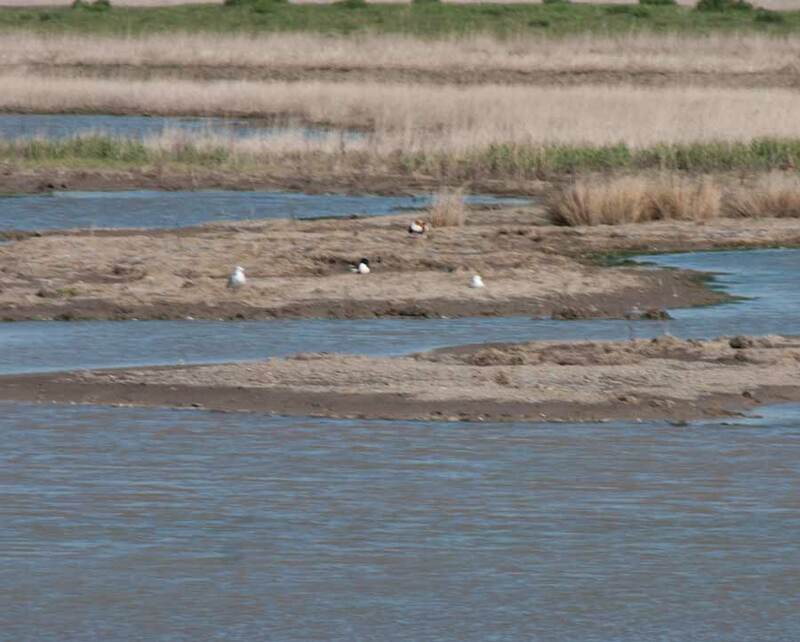 Tide's out in the Parrett. The view up river to Combwich. 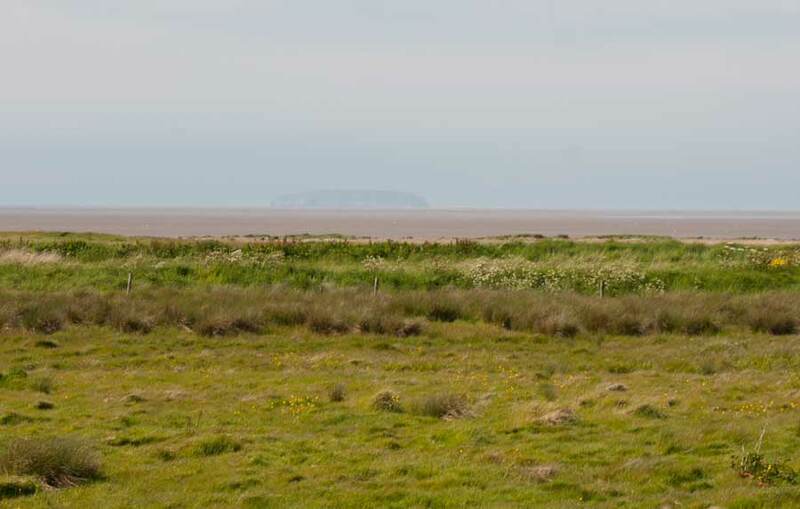 The "inland" edge of the new marsh actually comes quite close to the sea as can be seen in this view with Steep Holm in the rather hazy distance. A wide expanse of what is slowly becoming salt marsh rather than farmland. Some pioneering wild fowl, two shelducks and two herring gulls out on the flats. 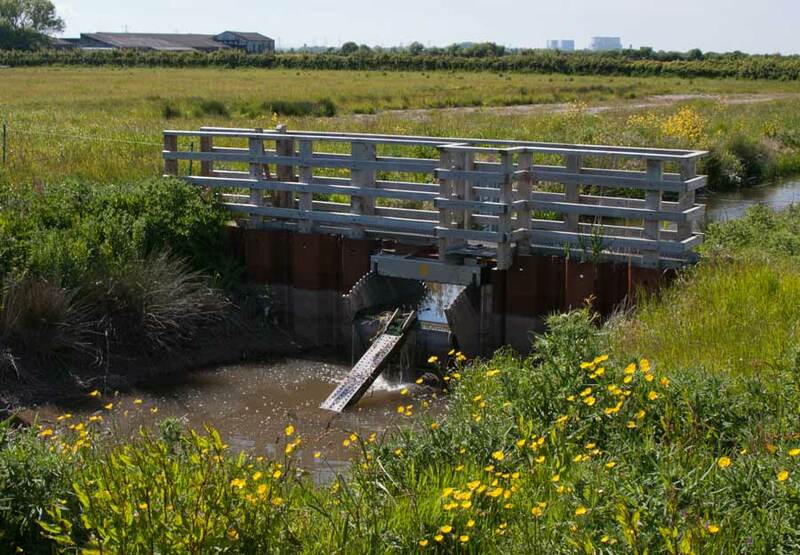 A sluice controlling a stream draining into the marsh, note the "ladder" for eels and elvers. 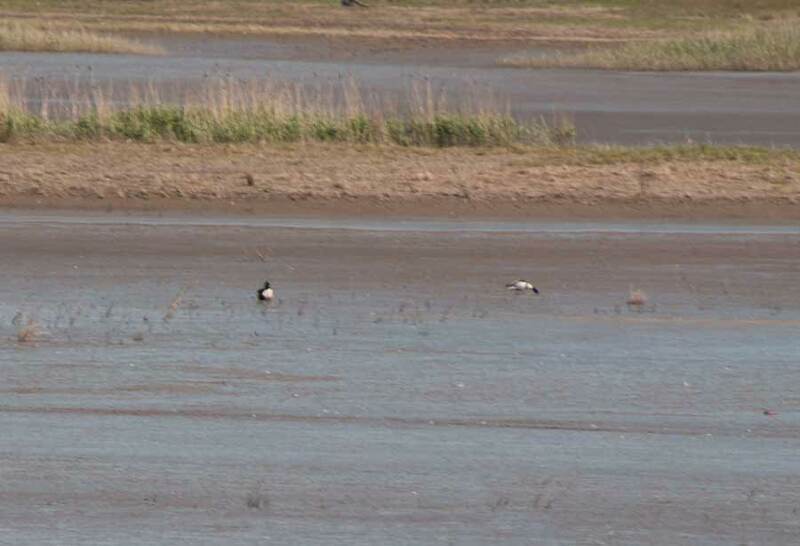 Another two shelducks feeding on the marsh. 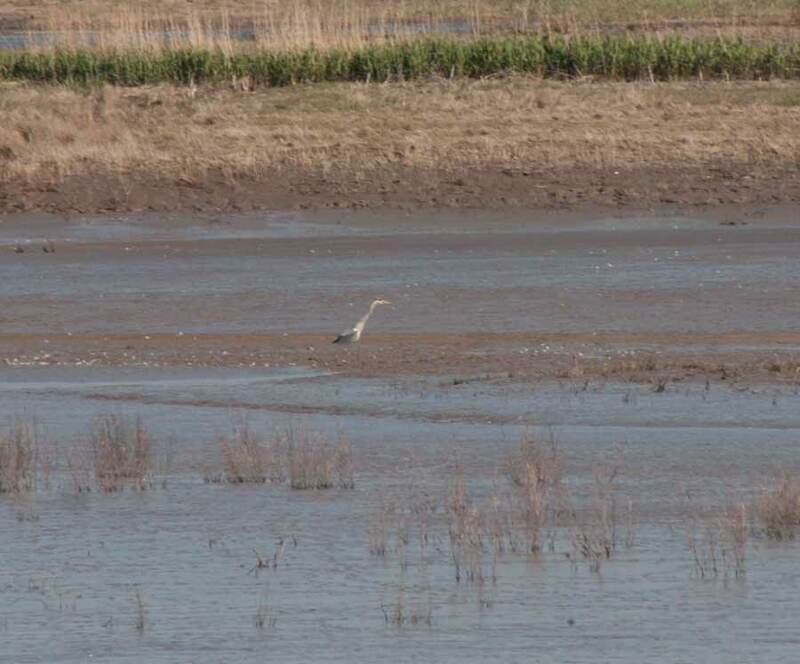 A heron hunting for prey out in the middle of this section of the marsh. A general view over a section. 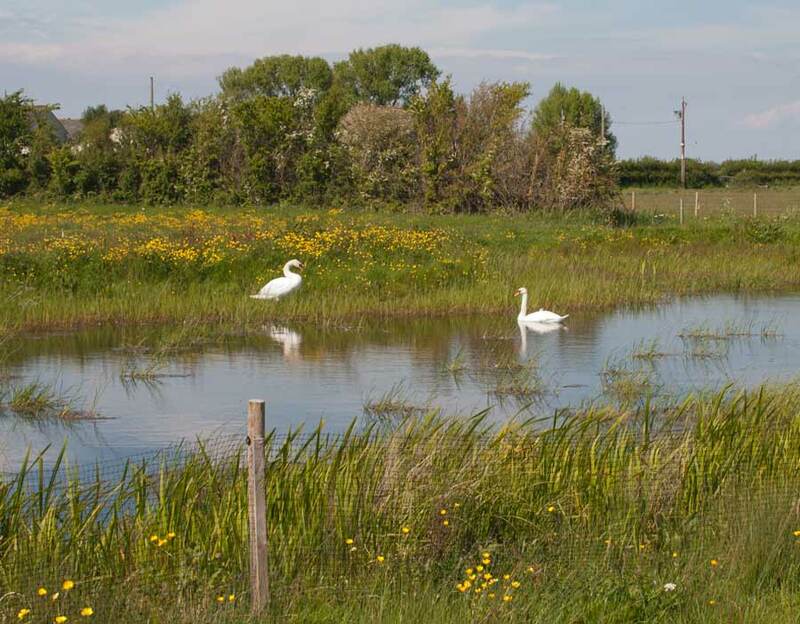 On the inland side a pair of swans on a pond. 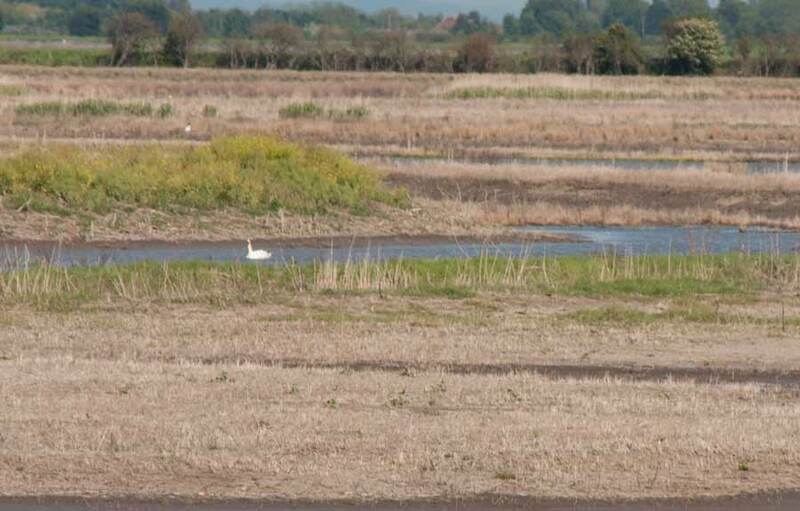 Meanwhile a solitary swan was out on one of the new channels. 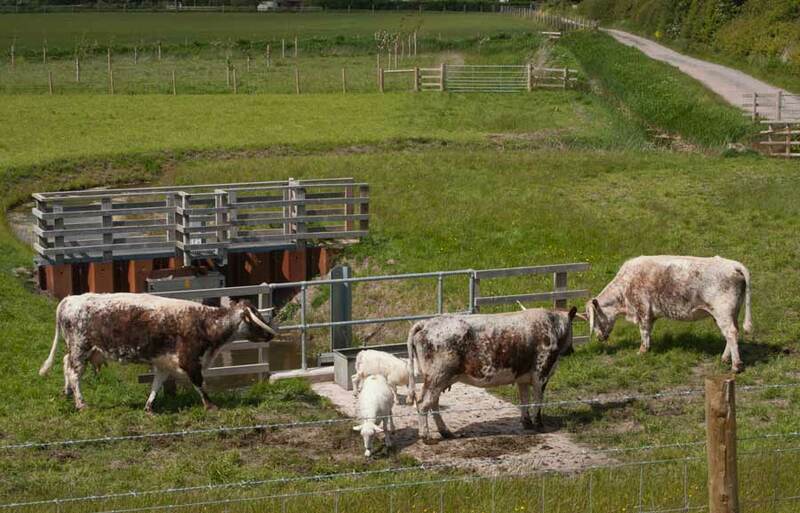 At present there's a herd of longhorn cattle next to the reserve. 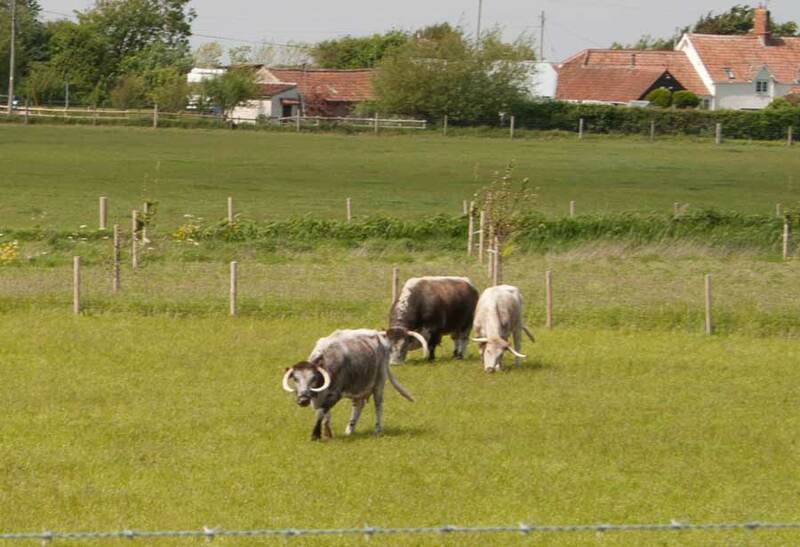 The bull can be seen in the background, a superb example of the breed - and look at their horns! A last one for now, the view from near the northern corner, as far as we could go this visit as dogs were banned to protect nesting birds further on.